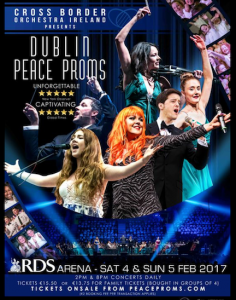 In February both Ms. Roche’s & Ms. Meeneghan’s 5th Classes will be taking part in the 2017 Peace Proms. Their allocated day and time is Sunday 5th February 2017 at 8.00pm in the RDS, Dublin. Thank you to Ms. Larkin, Ms. Maher, Ms. Roche and Ms. Meeneghan for giving their time rehearsing with the children.